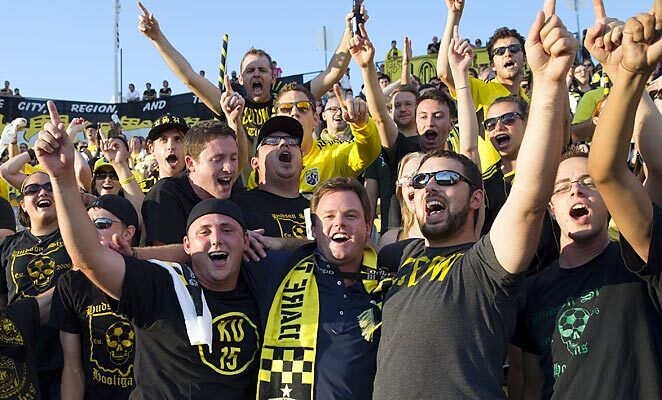 New Crew owner Anthony Precourt (center) observed a recent game with the club's most ardent fans. Crew Stadium needs more than corporate money, however. America's first soccer-specific facility has been lapped by the likes of Sporting Park and Red Bull Arena when it comes to amenities. Precourt knows that and already is working on improvements. He'll start by spending around $200,000 to replace bleachers with 2,400 seats on the stadium's east side and said he's committed to "benchmarking ourselves with our peers in MLS." 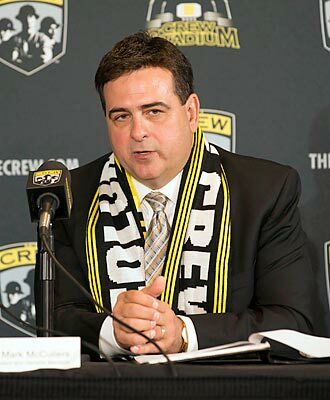 Crew GM Mark McCullers hopes to lead the club into MLS' upper echelon. Adrenaline. Excitement. These are not the qualities associated with "America's Hardest Working Team", despite its past success. But Precourt is betting big that perceptions can change. Those tired old construction workers now have an ambitious new foreman.